Uniting IoT and Supply Chain Analytics –Vitria Technology, Inc. I recently traveled to EclipseCon 2018 in Toulouse, France to participate in the Eclipse IoT integration subgroup. I flew into Madrid and took a puddle jumper to Toulouse. There, I enjoyed the mélange of culture offered by this Occitanie territory which boasts Spanish, Italian and French influences. With Roman, Medieval and Renaissance architecture dotting the landscape, it seemed a place where not only different cultures, but also different eras, all coalesced at the same point. It was indeed a crossroads, much like where we stand with IoT technologies today. The goal of the meeting was to bring together many smart people from different companies to hammer out issues and make progress around IoT architecture standardization. What I found most interesting was that the hardest part really wasn’t getting the work done — it was getting everyone to agree on the same vision. With each company coming to the table with a different background, history and culture, each brought with them a different set of priorities. 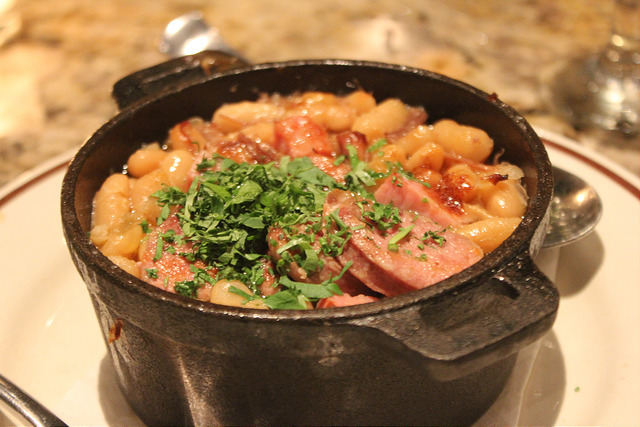 It was much like the blending of multiple ingredients found in Toulouse’s famed cassoulet, a rich, slow-cooked casserole. It might take time to simmer and stew, but the end result should be worth it. The different members of the Eclipse Foundation IoT working group arrived at the conference with similar goals in mind. We were all keen to create a set of software standards that could foster greater IoT use and attract more developers and other community participants in the hopes of growing the user base around open source software and IoT implementations. With the mindsets of each participant colored by their respective business models, I found our initial progress was slowed until we recognized that we were interpreting things differently. These differing viewpoints complicated communications, as one word could be interpreted differently depending on one’s background. For instance, we ran into an issue where we needed to clarify the use of the word “socket.” To one member it meant the physical socket on a motherboard and to another it implied sockets in networking. We quickly realized that we, too, were at a crossroads. To make progress and continue to advance our goal of creating IoT standards, we needed to first establish some basic rules of the road. This included developing a common vocabulary. Other items we addressed spanned from well-defined APIs to data formats and layout. In our discussions, we found that trying to define specific IoT product standards might prove to be too much at this point. Imagine trying to tell one company that they have to build their product one way. It limits their ability to innovate, a necessity in the world of IoT. So, we shifted our focus to establishing standards on where our products would interact. If we use automobiles as a metaphor, it would be like setting the rules of where the roads cross. You don’t need to know what’s going on in my car. And I don’t need to know what’s going on in yours. But when we meet, we need to know who has the right of way. We need to know how to communicate with each other, standardizing on blinkers and brake lights to convey our intent. This might sound somewhat familiar. After all, when computers were first networked together, there were similar issues. Remember determining how the packets of one system would be delivered to another? But in the case of IoT, we are dealing with workloads that need to scale by orders of magnitude. And there are new pieces of equipment that are now required to communicate. More modular architectures are needed now to move from vertical scalability to “cloudscale” capabilities, where you can scale up to a large number of transactions at any given point in time. IoT is unique in that it brings together many different groups — software architects, hardware designers, field operators and so forth — that haven’t had the need to naturally work together before. Today’s digital transformation has engendered many new types of problems to solve. Because of its innovative nature, IoT implementations can often find these problems first. People sometimes look for simple answers to these issues. They may think that there’s one silver bullet that can bring them the IoT architecture of their dreams. Alas, it doesn’t work that way. An interdisciplinary approach is required, one where folks bring different pieces of knowledge to the table and figure out how to blend it together to come up with a recipe for success. Like a traditional Toulouse cassoulet, it can take a lot of time and effort, combining and simmering innovative “ingredients” brought on by different ideas and experiences.